Check out this HOT offer at Target! Target has the Robitussin Maximum Strength Cough+Chest Congestion DM Liquid 4 oz for $6.59. 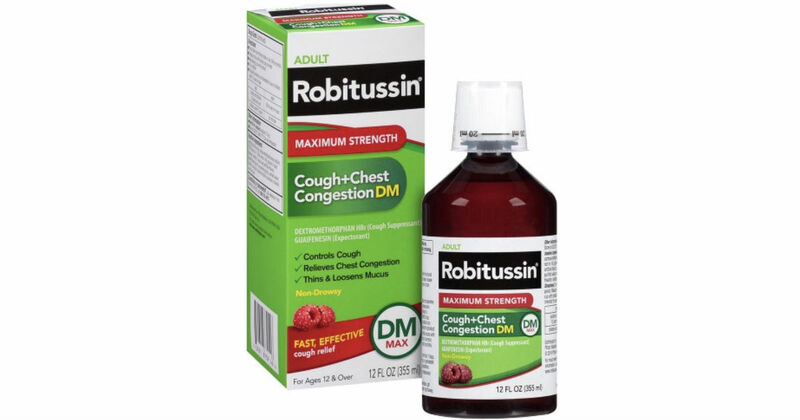 Use the 25% Off Robitussin & Dimetapp from Target Cartwheel Offer, $3/1 Robitussin Adult coupon and submit for $3/1 Robitussin Adult Product SavingStar cash back to get it for FREE!